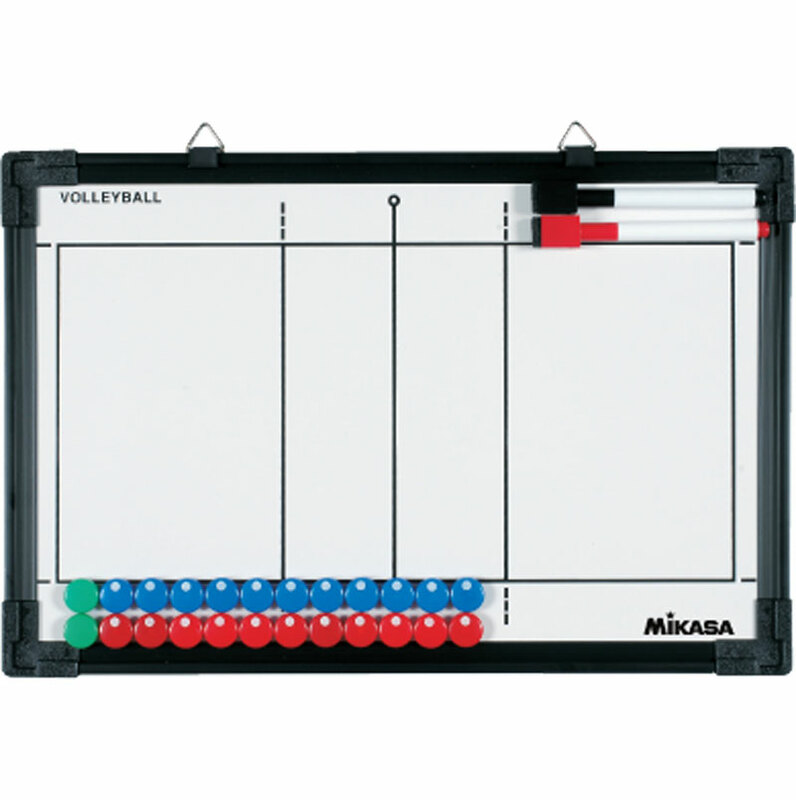 Mikasa ® Magnetic Volleyball Tactic Board Set with carry case. The ability to use both the pen and the magnet pieces. Size: 470mm by 340mm by 20mm. One side of the table shows both courts and the second one court. Handles for hanging on wall. Includes: board, carrying case, 2 markers, 2 x 12 magnet pieces.